Gray is the subject of a documentary by Northampton filmmaker Abraham Ravett entitled Forgotten Tenor. It was released in 1994 and as its name implies, the film ruminates over the ephemeral nature of fame, particularly for a black jazz artist, and the mysterious circumstances of Gray’s death. On May 25, 1955, he was found in the desert near Las Vegas with a broken neck and wound to the head, injuries most likely sustained in a fall after he’d died from an overdose, but ones that only fueled speculation that he’d been murdered, maybe by Vegas mobsters. Wardell’s demise was the basis for a Bill Moody mystery, Death of a Tenor Player. 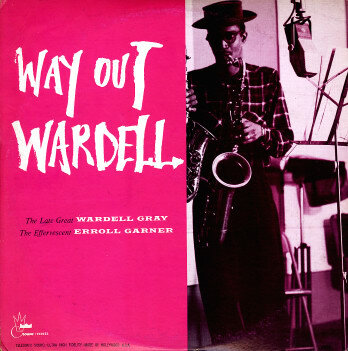 As for fame, Wardell was a brilliant, in-demand saxophonist, influenced by Lester Young and the new direction that jazz was taking in the mid-forties. 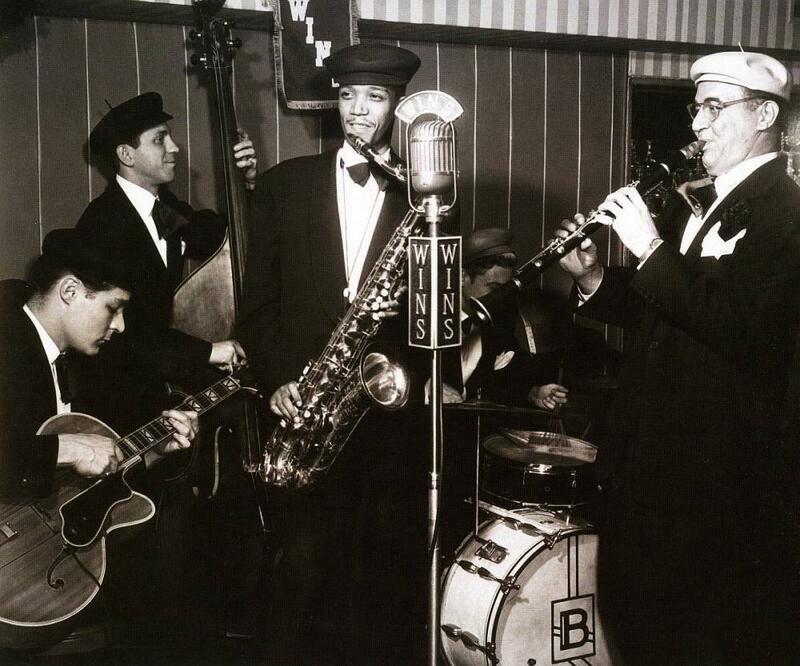 He worked for a who’s who of bandleaders including Earl Hines, Benny Carter, Billy Eckstine, Benny Goodman, and Count Basie, and with such trailblazing colleagues as Parker and Gordon. He composed “Twisted,” which Annie Ross lyricized and Joni Mitchell covered in the 70’s. Gray was seen with Basie on Snader Transcriptions made for television. And the ritualistic tenor battles that Gray and Gordon engaged in drew legions of bebop fans to venues around Los Angeles in the late forties and early fifties, and delighted Jack Kerouac’s thrill-seeking protagonist Dean Moriarty in On The Road. Born in Oklahoma City and raised in Detroit, Gray came to prominence with Earl Hines, with whom he worked for nearly three years. He settled in Los Angeles in 1946, where he made his first date as a leader with the outstanding Dodo Mamarosa at the piano. 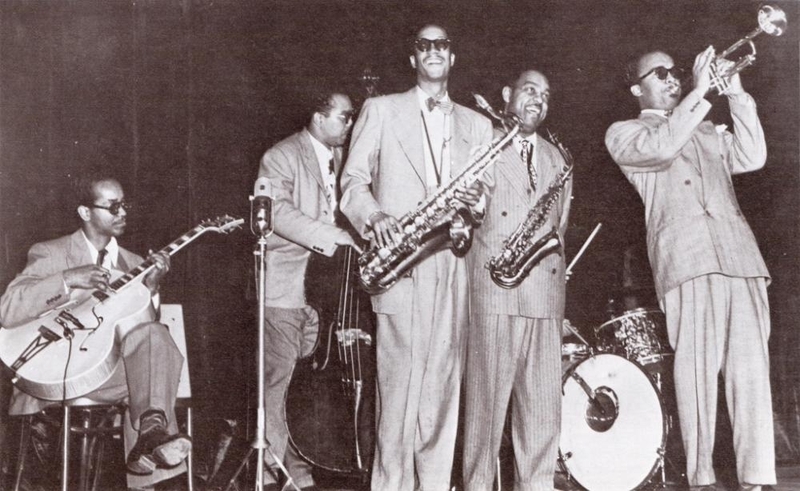 The session included a remarkably complex melody that Gray composed on the changes of “How High the Moon,” and dedicated to Lester Young, “One for Prez.” Another Gray original, “Easy Swing,” may have influenced Charlie Parker’s 1948 recording, “Steeplechase.” In the intervening year, Wardell recorded with Parker’s New Stars for the classic “Relaxin’ at Camarillo” session on Dial, and he and Dexter Gordon recorded the two-tenor prototype, “The Chase.” In 1948, he shared the front line with tenor Allen Eager and trumpeter Fats Navarro on the session that Tadd Dameron led for Blue Note. Ravett’s documentary includes a story told by trombonist Eddie Bert about Benny buying a Bundy clarinet for Wardell so that he could play BG’s parts while Goodman indulged himself playing Wardell’s tenor. Benny may have been a frustrated tenorman all along, but from what we know about him, he would have resented Gray being called the “star” of the show.